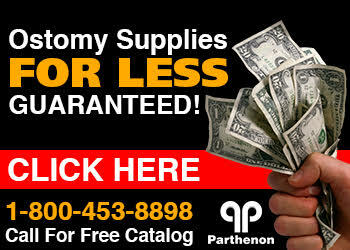 The Parthenon Company Blog - Specialists in Wound and Ostomy Supplies: How Long Should A Skin Barrier Last? A Few Things To Consider About Ostomy Appliance Wear Time. How Long Should A Skin Barrier Last? A Few Things To Consider About Ostomy Appliance Wear Time. Ostomy pouches and skin barriers come either as a one piece "combined" ostomy system or a two piece separate ostomy system. Either way, weartime is a common topic of discussion among ostomates. Weartime is defined as the amount of time a person can wear a single skin barrier before having to change it for a new one. Typically health care professionals such as Wound Ostomy Continence Nurses (WOCN) tell us that 5 to 7 days is optimal. It's all too often that we hear from our customers they get 1 to 3 days wear time. This can be both frustrating and expensive. Also, it can be an indicator that leakage may be a problem and you might have to address some red, excoriated skin in the near future. A few things to consider when addressing wear time are: the stoma and peristomal area, ostomy appliance and accessories used, your environment and activity level, and your healthcare professional. Stomas can protrude and be recessed depending on many factors. A stoma that is recessed can present a challenge to avoid leakage issues. As stomal output exits the body it can irritate surrounding skin and cause problems. Scarring and uneven surfaces around the stoma also create hurdles when trying to increase ostomy appliance weartime. There are many ostomy accessories that can assist you in making the surface flat such as Eakin Cohesive Seals and Stomahesive Strips. Its important to note that paste such as Stomahesive Paste and Adapt Stoma Paste are used a caulking agents not as glue. More is not better. Sometimes humidity and heat can accelerate the breakdown of the skin barrier especially when combined with sweat. Be sure to plan accordingly when you travel so that you don't find yourself needing supplies in a foreign country without a clue where to obtain them. Consider the recommendations of your doctor or nurse. Usually you should plan to visit with a WOC nurse once in a while to address any issues.